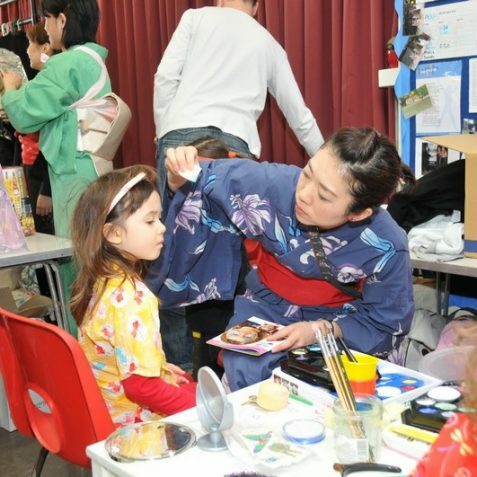 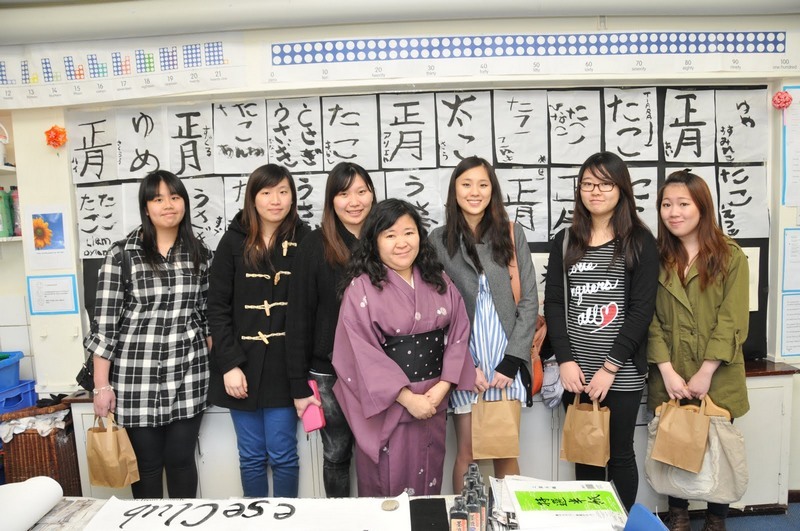 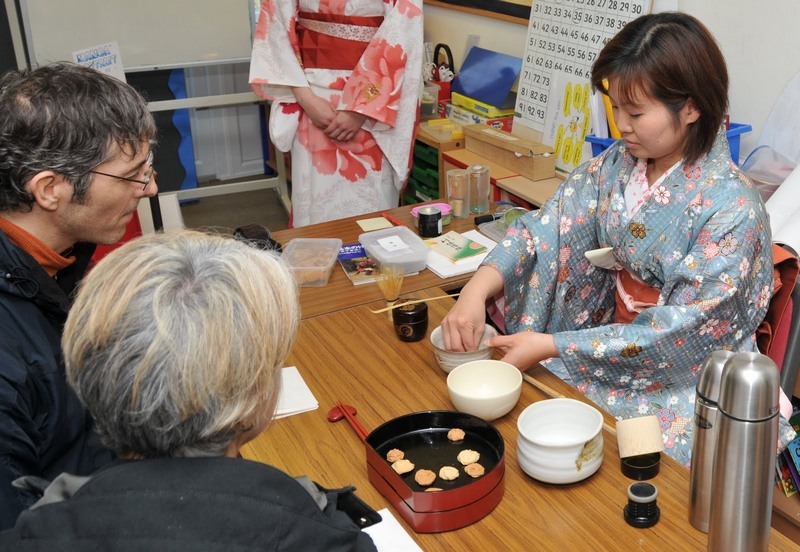 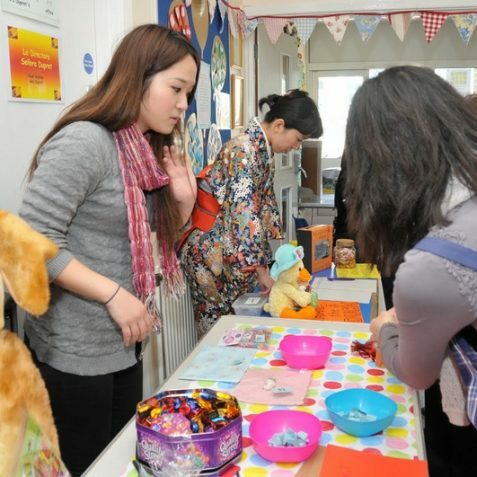 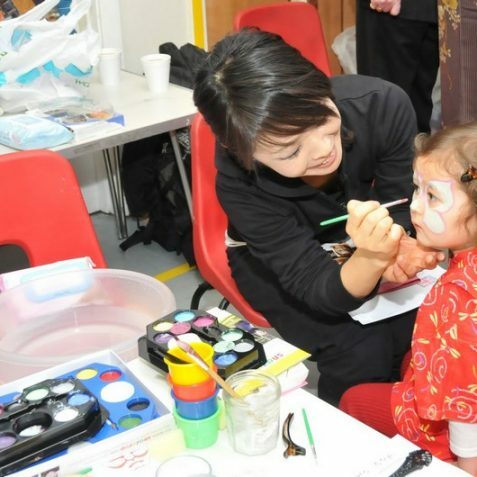 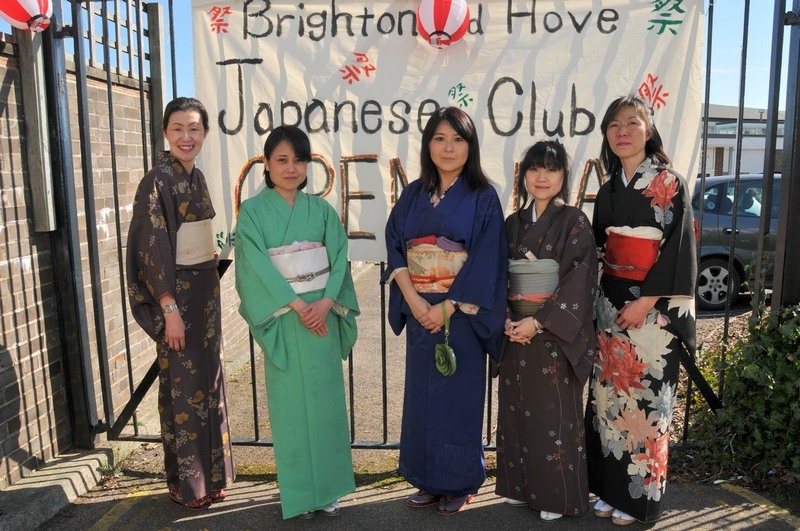 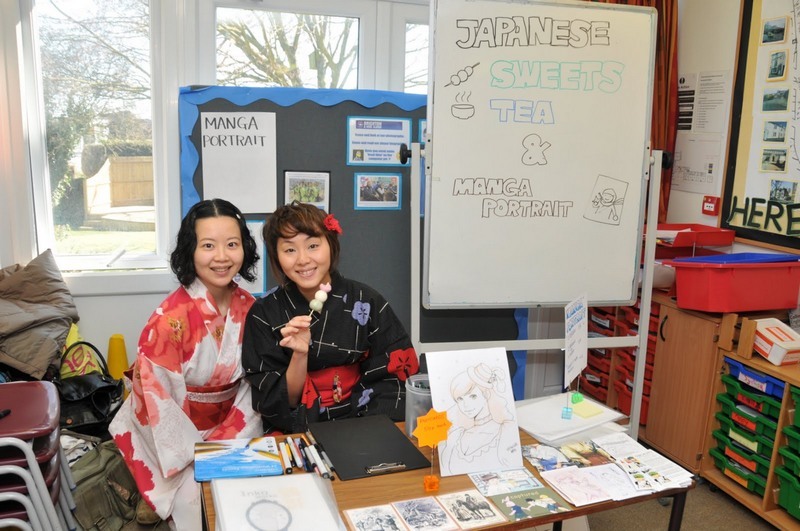 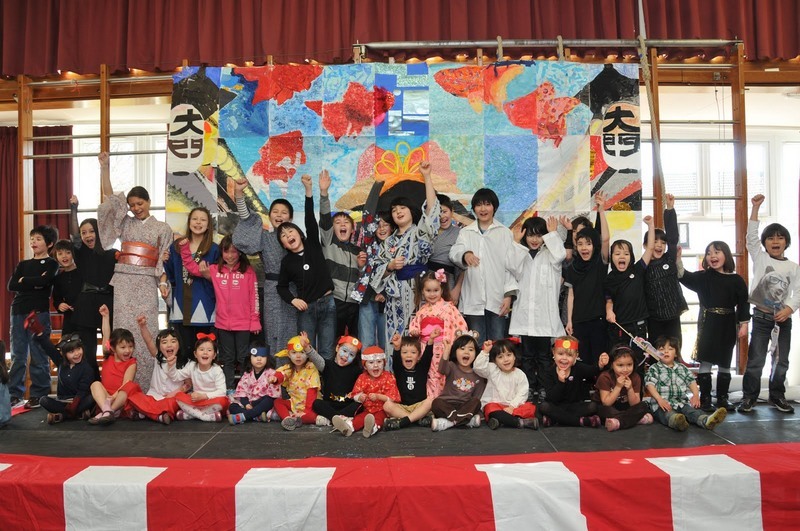 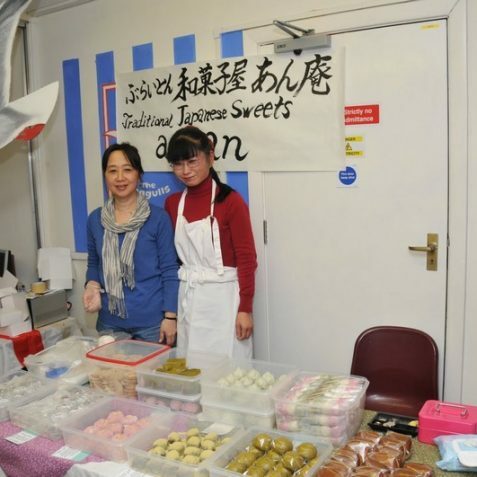 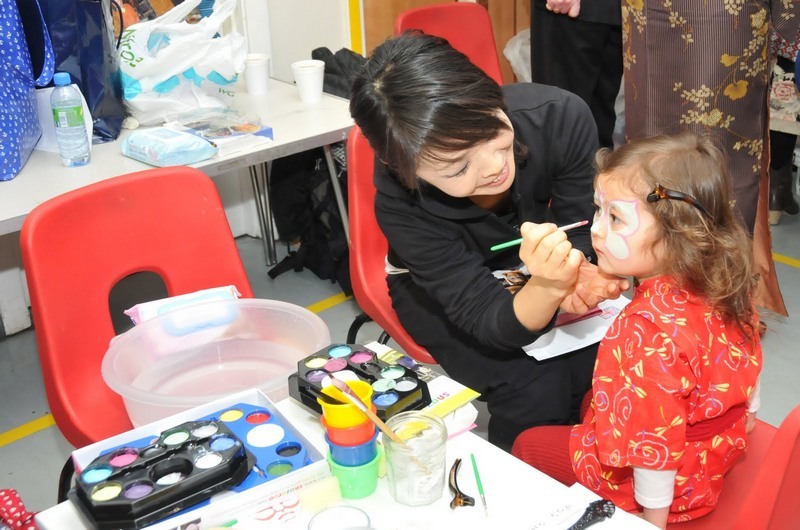 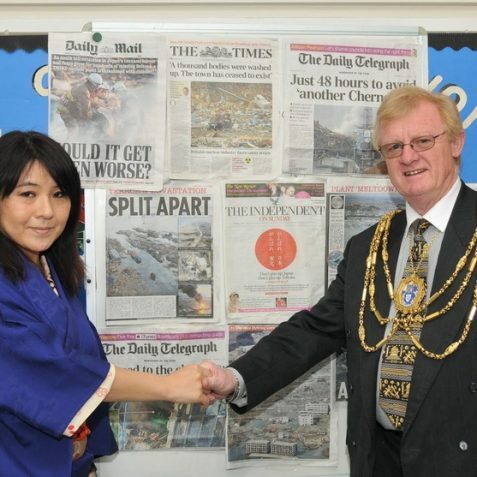 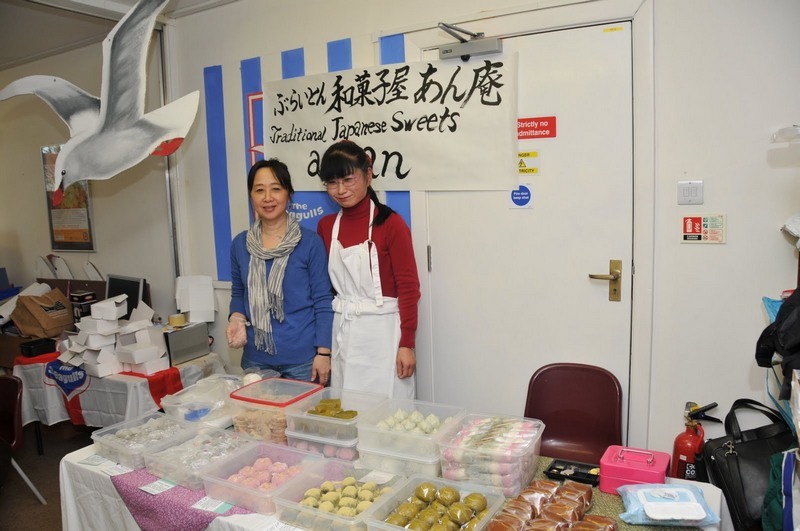 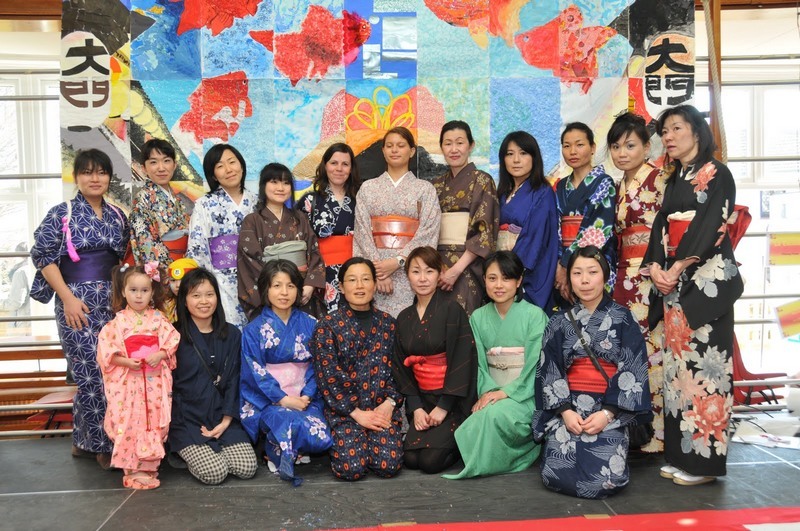 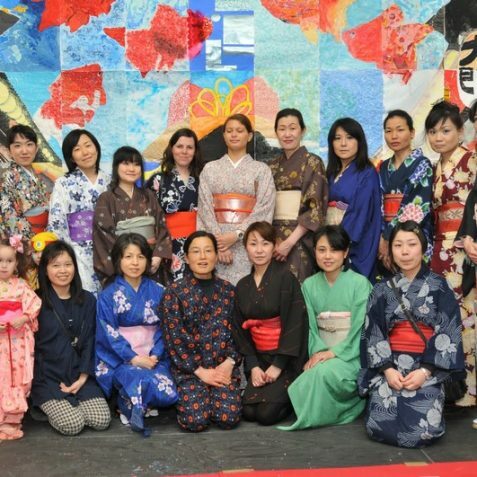 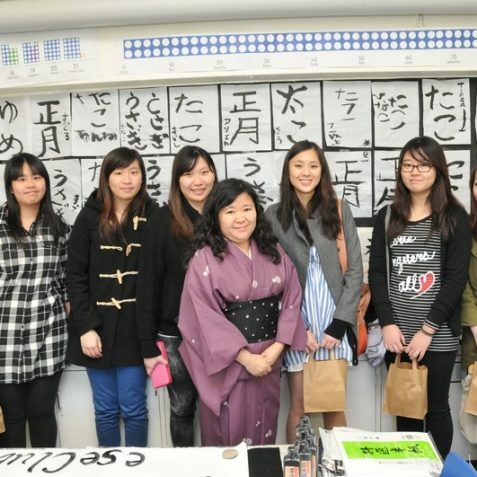 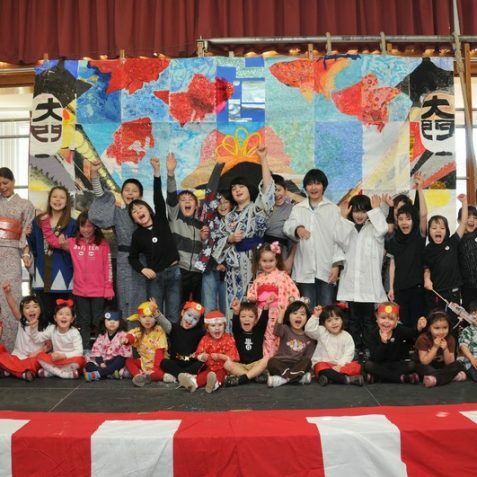 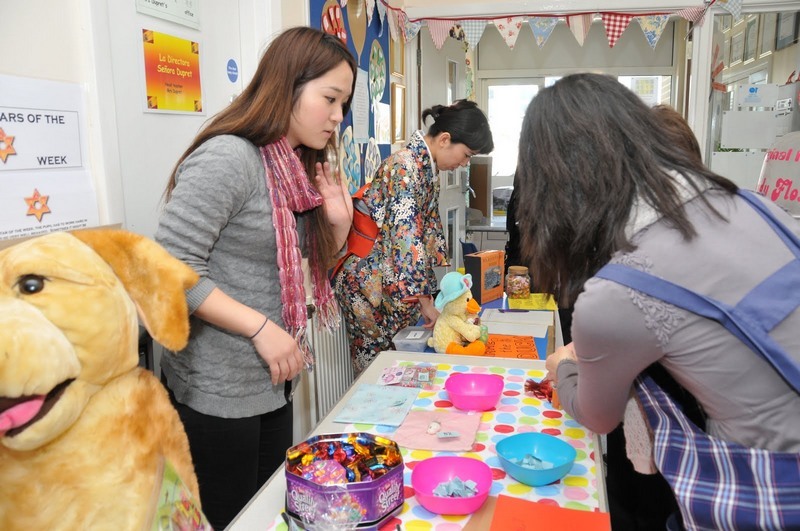 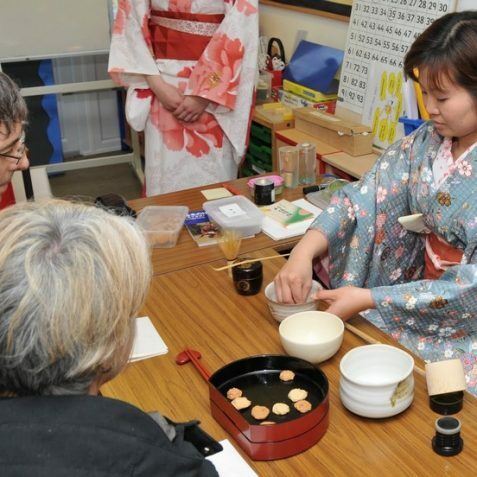 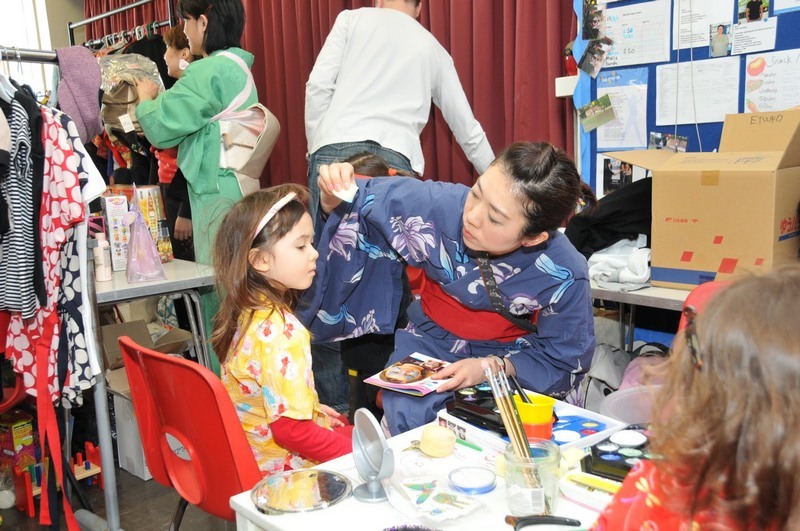 The Brighton and Hove Japanese Club (BHJC) was founded 10 years ago and is a voluntary based non-profit organisation, teaching children Japanese language and its culture. 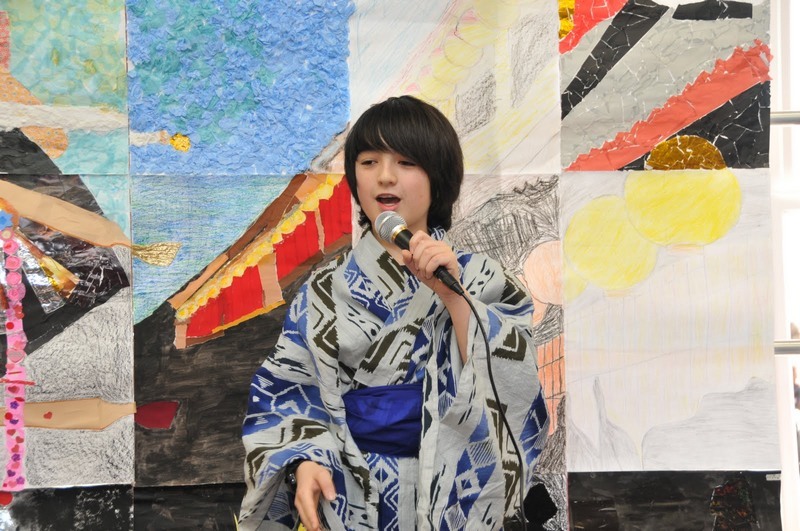 The theme of this year was “Ninja” in the Edo era. 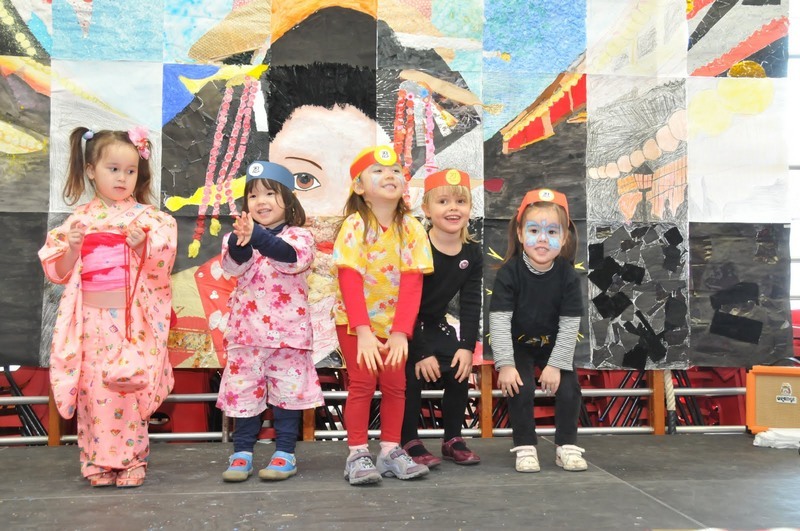 Children wore Ninja costumes and a local Ninja club demonstrated ninjutsu. 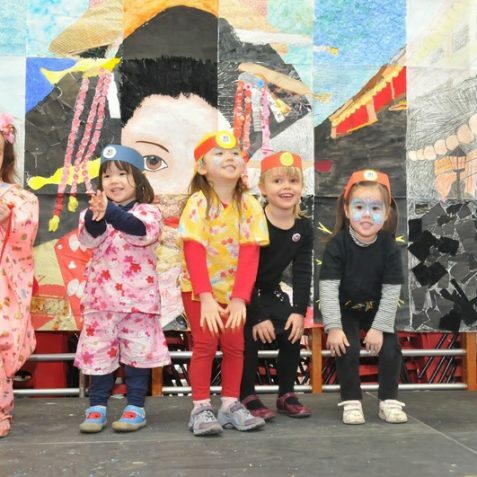 The children exhibited their mosaic work of an Edo scene whose size was 5.3 metres x 3.4 metres. 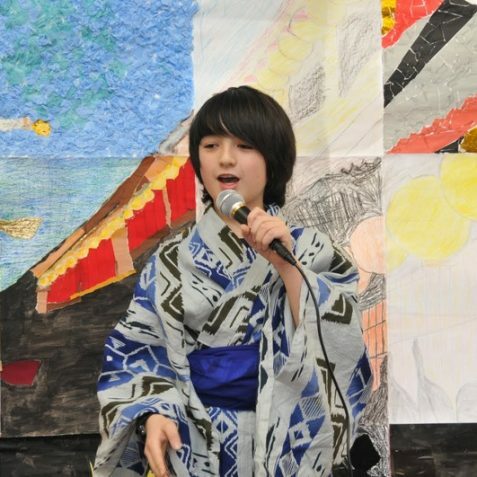 A Ninja film made and filmed by the senior students was shown. 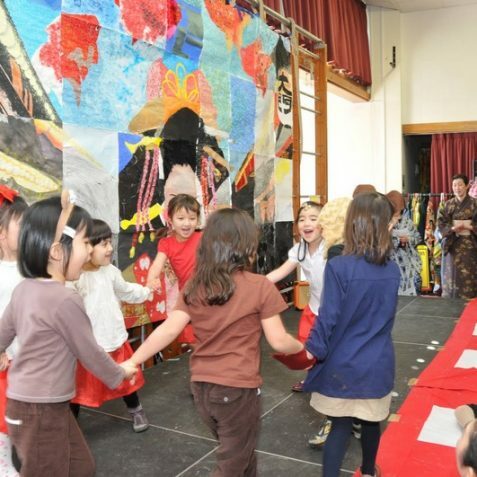 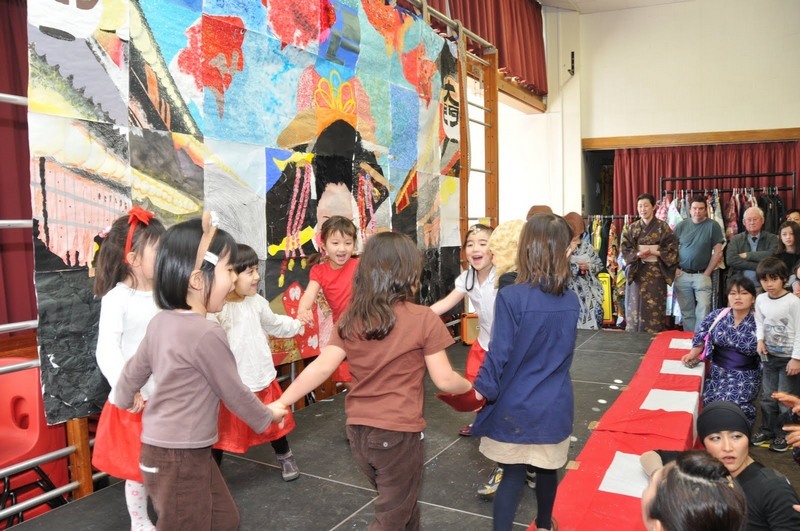 On stage, the children performed traditional Japanese songs and dance. 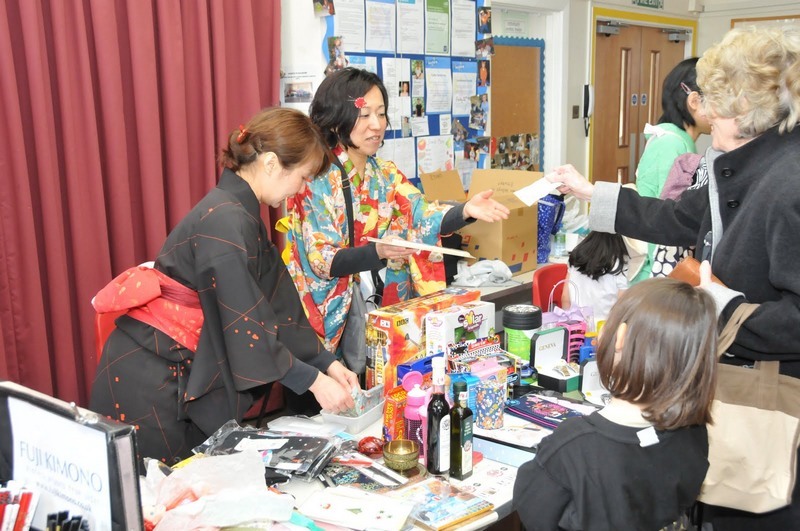 Vistors could learn how to make sushi and Japanese sweets, how to wear a kimono and there was a demonstration of calligraphy. 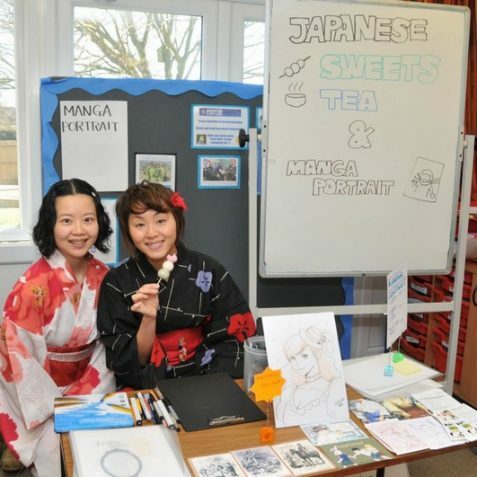 There were Origami workshops, Shiatsu massage, Manga portrait, Japanese tea ceremony as well as a taster Japanese language class. 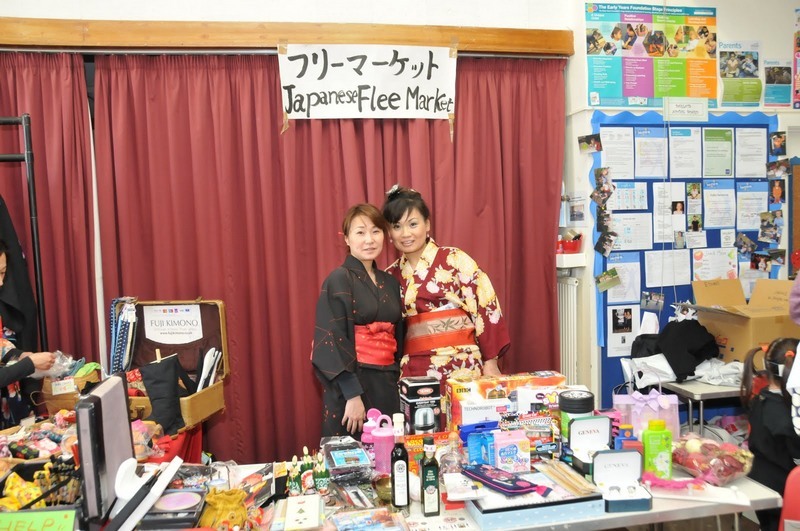 The stalls sold hand made Japanese curry, cakes as well as sushi. 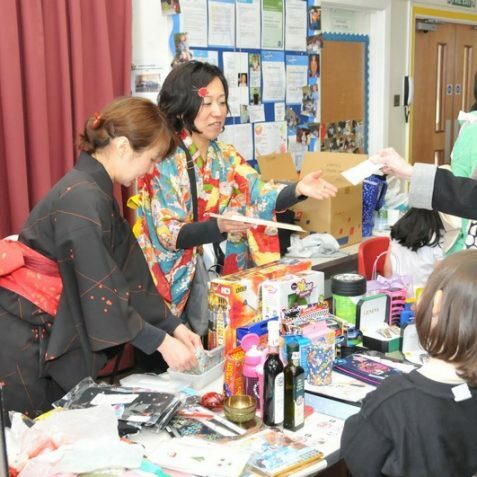 The annual Open Day is the main income for the BHJC, however, as Japan’s disaster of an earthquake and tsunami happened on 11th March, with increasing fears of radiation leaks due to damaged nuclear plants, the club decided to donate its profits to help the victims. 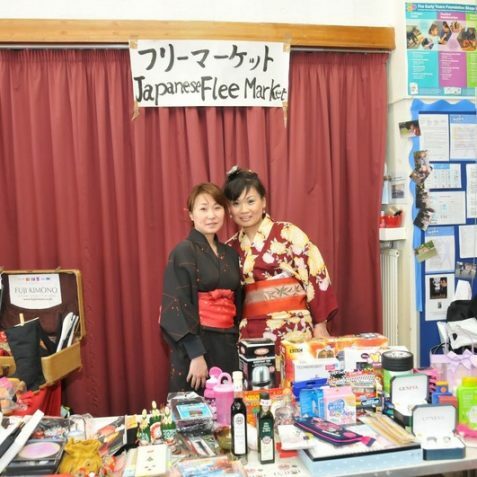 One of the stalls exhibited articles collected from newspapers which reported how people in Japan are living without or have restricted electricity, lack of water and food, amid growing fears of health risks. 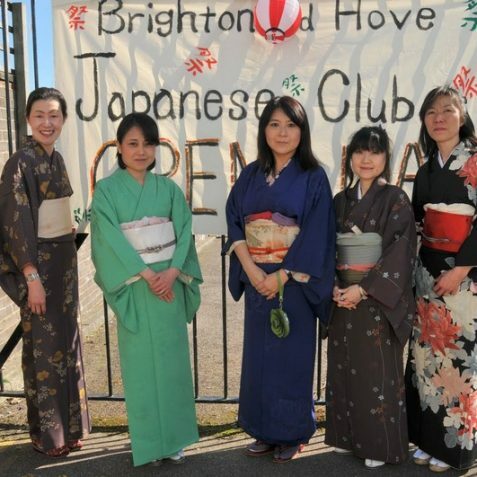 There were approximately five hundred visitors and the members of the club were very touched and encouraged by visitors as they were often asked if their family or relatives in Japan were safe. 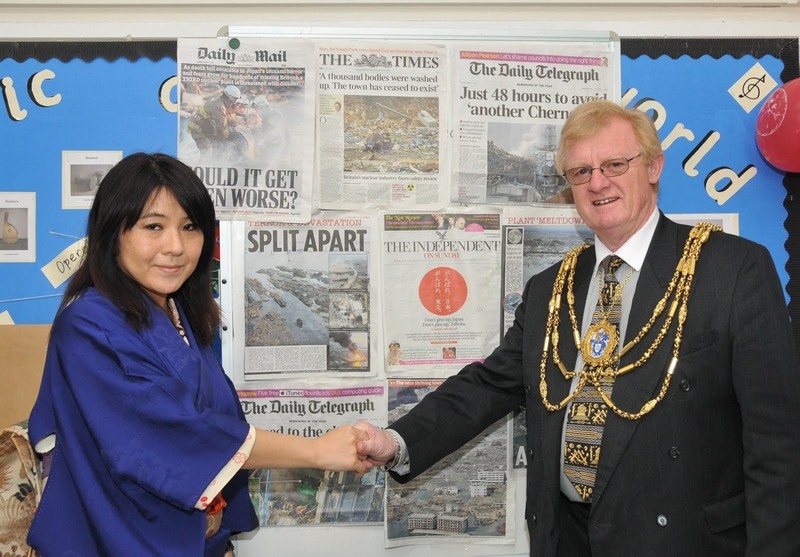 The members were also excited to welcome an unexpected guest, The Mayor of Brighton and Hove, Councillor Geoffrey Wells.